← Will The Rightline Gear Window Storage Bag Hold LJ Soft Top Windows? When the new Colorado and Canyon models were released in 2015 we knew they were going to be a hit. The mid-size truck market is growing, and outdoor enthusiasts are realizing the potential these trucks offer. When these newer style Colorado and Canyon models hit the streets in 2015 we realized they have a unique bed size. Specifically, the bed height of these trucks is taller than that of other mid-size trucks such as the Nissan Frontier and Toyota Tacoma. Please note, the 2012 and older Chevy Colorado/GMC Canyon uses our Compact Size Bed Truck Tent 6’ (110770), and is only available for the 6’ bed length. 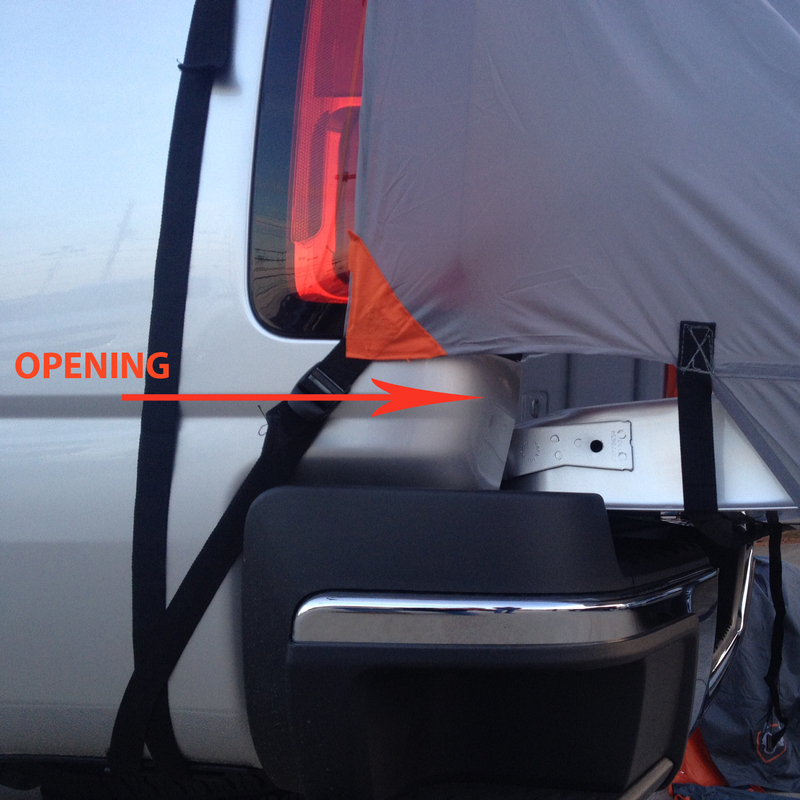 This entry was posted in Truck Tent Tips and tagged truck tent, Chevy Colorado, GMC Canyon. Bookmark the permalink. Hi there, I mistakenly ordered from Amazon Part #110766 (mid-size truck short 5′ tall bed) for my 2017 Toyota Tacoma TRD Off Road Double Cab Short 5′ Bed truck. It looks like I should have ordered Part #110765 instead. 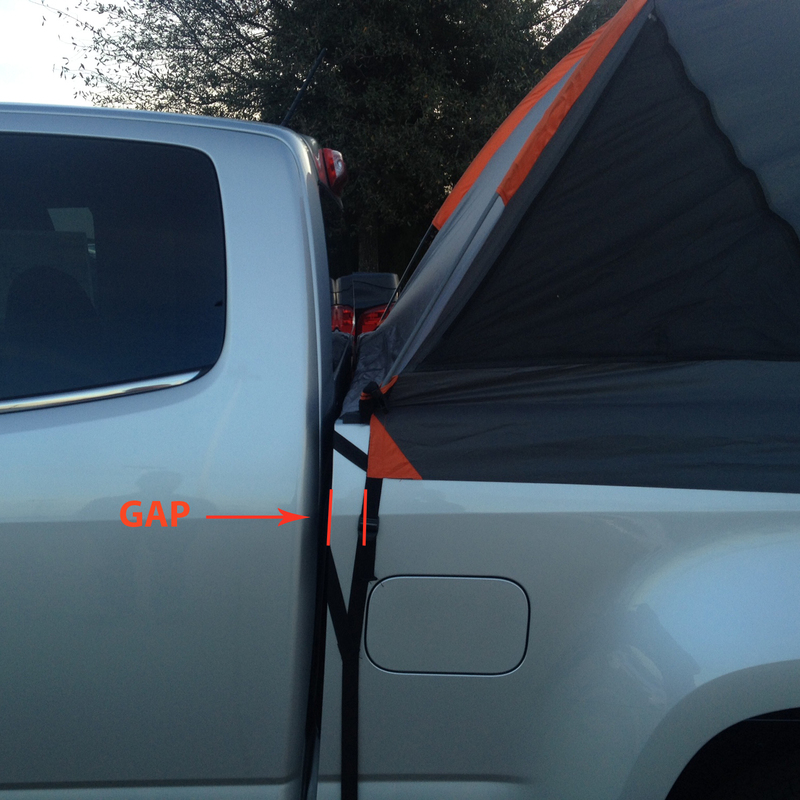 Is there really that big of a difference in say, for example, the height of a GMC Canyon 5′ tall bed versus my 2017 Tacoma 5′ short bed? If there isn’t that much difference will Part #110766 still fit reasonably well on my Tacoma? Thanks very much! Casey M.
Hi Casey. We can’t recommend fitting the 110766 to your Tacoma. 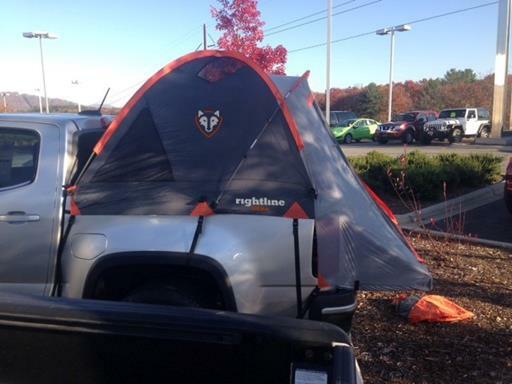 The tent will not fit properly and you may cause damage to the tent in trying to set it up. 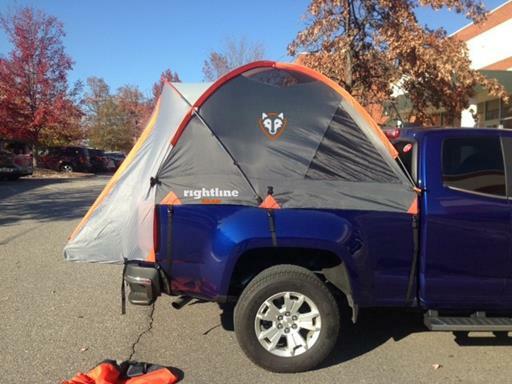 Please contact Amazon directly to help you get the correct Truck Tent for your Tacoma. The part number 110765 is the correct part number for your truck.